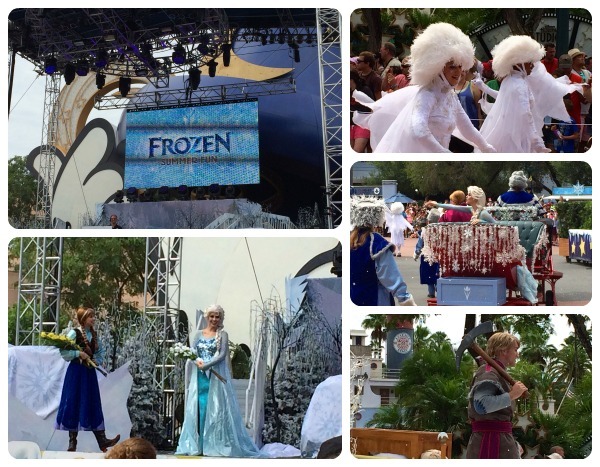 Frozen fans…Disney’s Hollywood Studios is celebrating the movie Frozen all summer long! 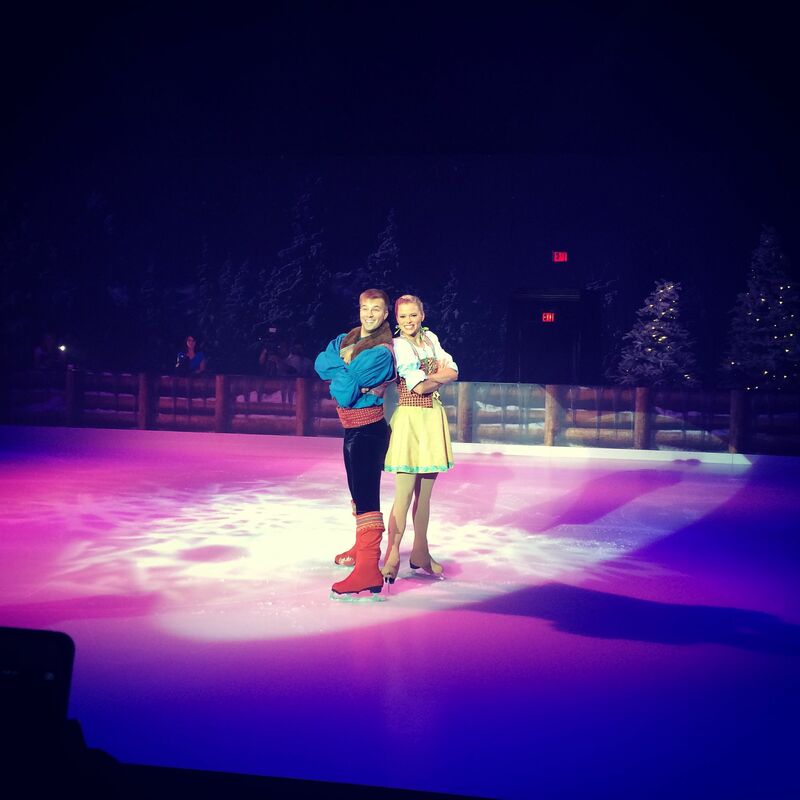 Through September 1, 2014, “Frozen Summer Fun LIVE!” brings to life the world of royal sisters Anna and Elsa and the kingdom of Arendelle. Nightly party featuring a live band, all themed to the worldwide phenomenon. Note, most activities are included in theme park admission (ice skating prices are outlined below). 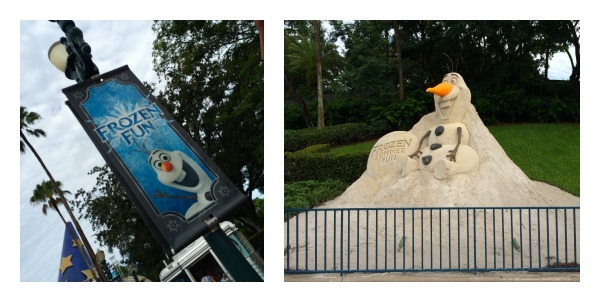 Frozen Fun signs, a Take-Along Olaf (similar to a Flat Stanley) and this amazing sand sculpture welcomed us into the park. Do you want to build a snowman? 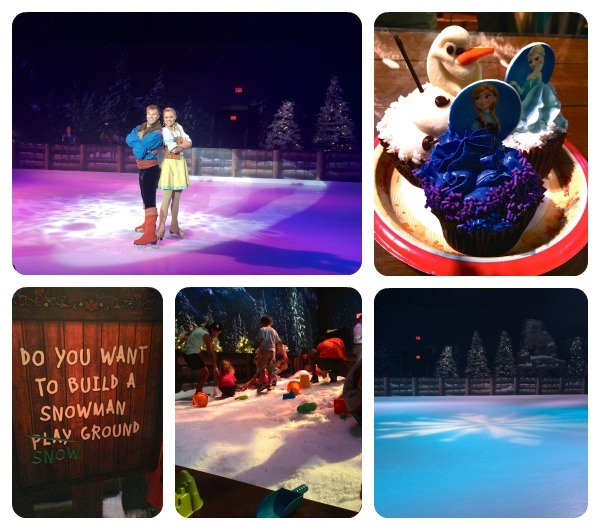 Not only can you build a snowman inside the “snow”- ground (yes, there is snow in Florida) but you can also go ice skating and enjoy delicious treats inside Wandering Oaken’s Trading Post and Frozen Funland. Experience winter in the middle of summer! This was one location I could have stayed in all day long, it was cool and fun for all ages. Check out the enormous character cupcakes, they are delicious! My son enjoyed an Olaf one (carrot cake with cream cheese icing). Anna cupcakes are chocolate while Elsa cupcakes are vanilla. Daily ice skating sessions are available, the cost is $10 for 30 minutes and includes the use of ice skates, socks and a helmet. Skating sessions are available on a first come, first serve basis each day from park open until 8 p.m. Even if you aren’t interested in skating, it’s fun to watch park guests having a blast and the character shows. 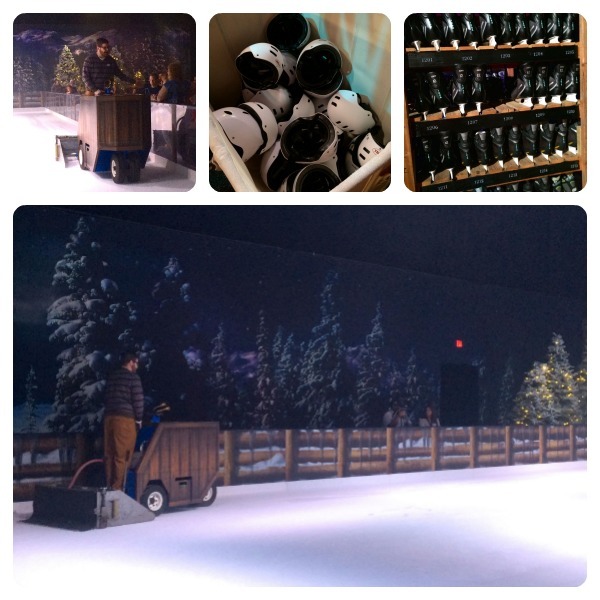 Check out the mini zamboni that resurfaces the ice! Make sure you download the free Aurasma app because there are fun photo opportunities throughout Hollywood Studios (including inside Wandering Oaken’s). I kept seeing park guests in hysterical poses and I couldn’t figure out what was going on. 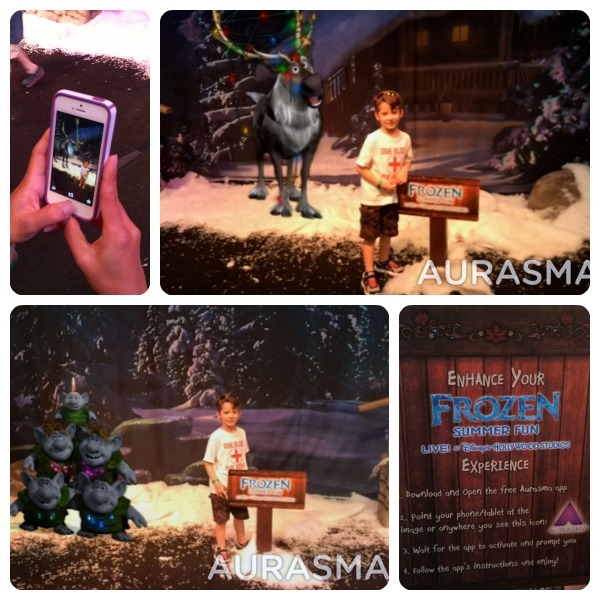 Well, it’s a bit of magic…you point your smart phone at the Aurasma photo locations and create an augmented reality experience! Check it out! Next on the agenda was Anna’s & Elsa’s Royal Welcome. This daily processional travels down Hollywood Boulevard and gives guests the chance to see Anna and Elsa, Kristoff, a flurry of skaters, skiers and ice cutters, all dressed in their Arendelle best. There is also a “For The First Time in Forever: A Frozen Sing-Along Celebration” located inside the park’s Premiere Theater (which holds 1,000 guests). PLEASE NOTE: Tickets are handed out on a first-come, first-serve basis in chronological order on San Francisco Street. There are seven shows throughout the day (12:30, 1:30, 2:30, 3:30, 5:00, 6:00 and 7:00 pm), so make sure to grab your tickets as soon as you enter the park. You won’t want to miss it! 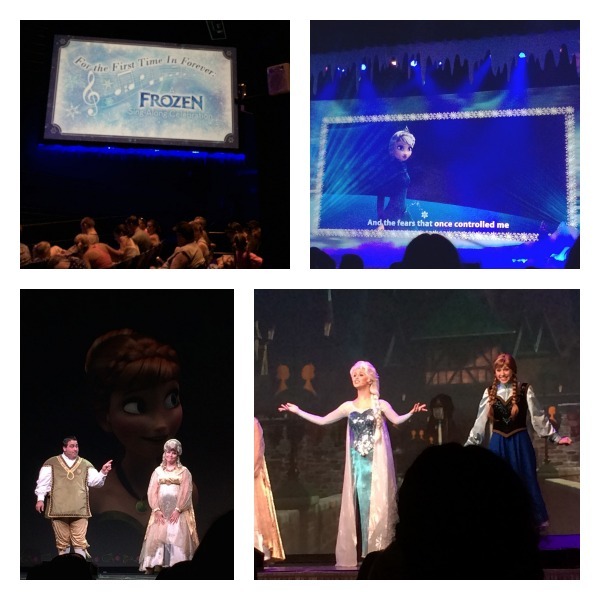 This 30-minute show is not just a sing-along, but it is a fun and comedic retelling of the history of Arendelle complete with special effects and lightning. It was adorable to witness the excitement of all the little girls dressed in Anna and Elsa attire (and hearing them sing at the top of their lungs). 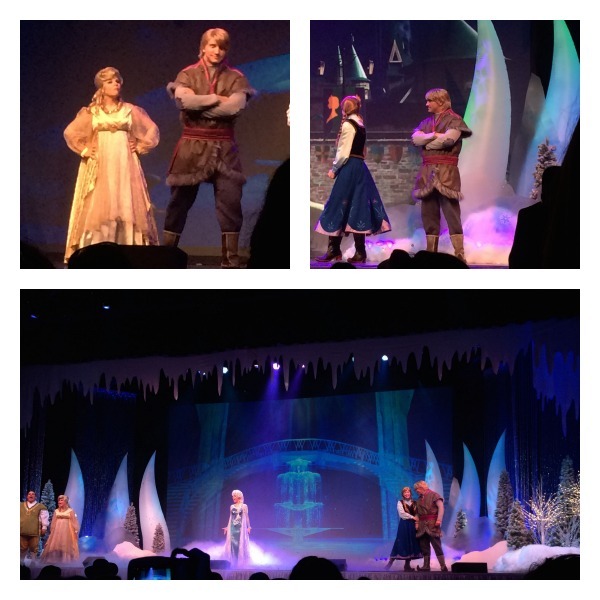 It is also an opportunity to see Anna, Elsa & Kristoff! I mentioned the Take-Along Olaf earlier, but let me elaborate a little more. Guests have the opportunity to be part of a pre-show celebration by taking photos of themselves with Olaf and sharing via social media sites using hashtag #OlafSummerVacation. Your hashtagged photos may appear on the big screen in the special pre-show feature! 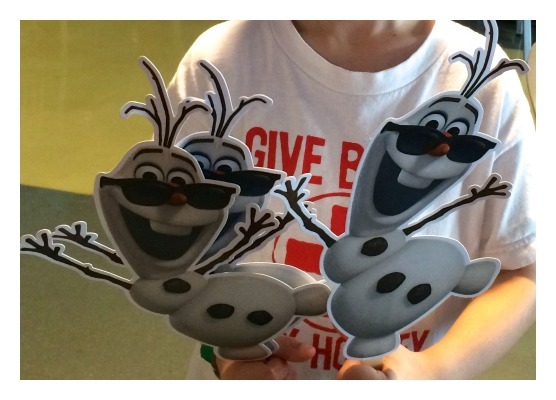 There are some additional Frozen Summer events at Hollywood Studios that you won’t want to miss. Coolest Summer Ever Dance Party: From 5:30-9:30 p.m. each evening, a live band takes the stage to celebrate the Frozen summer fun with contemporary songs and a few familiar tunes from the film. 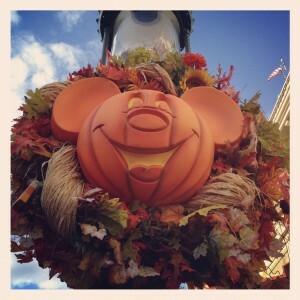 Frozen Fireworks: At 9:45 each evening, the giant Sorcerer Mickey Hat on Hollywood Blvd. gets the full Frozen treatment with special projections of snow and ice images, in an eye-popping spectacular above Hollywood Blvd. Set to the film’s soundtrack, the fireworks show features some special guests – including a very magical appearance from Elsa in which she shows how her powers flurry “through the air and to the ground” to produce magically icy blue and white gleaming fireworks. 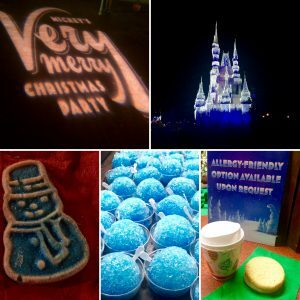 Please note: there are no photo opportunities with the Frozen characters at Hollywood Studios, but you can experience the following Frozen Fun at the Magic Kingdom!